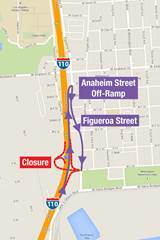 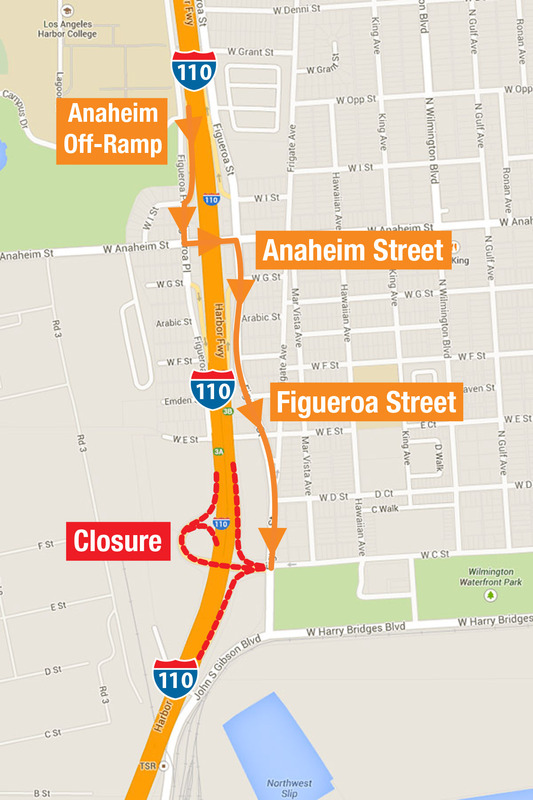 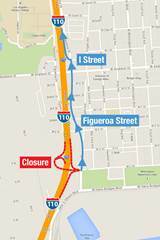 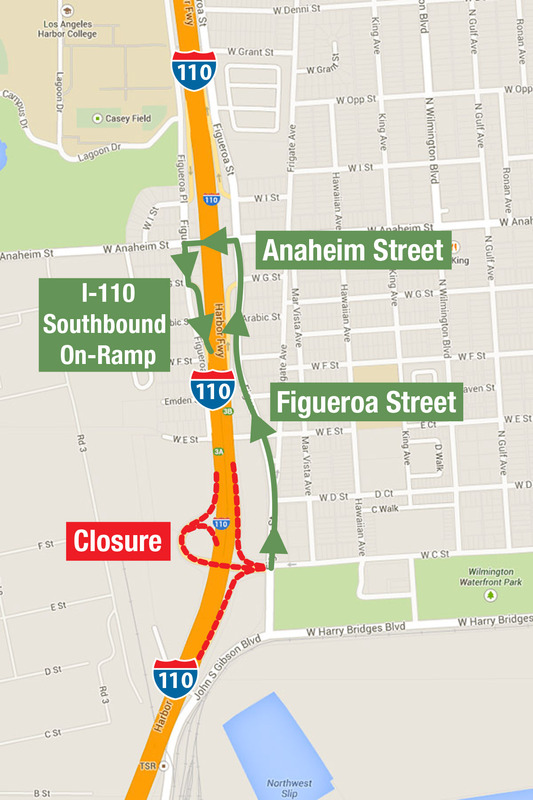 WILMINGTON, Calif. — July 1, 2014 — C Street on- and off-ramps on Interstate-110 (Harbor Freeway) will be closed on both the second and third weekends in July — beginning 7 p.m. Friday, July 11, through 6 a.m. Sunday, July 13, and again at 7 p.m. Friday, July 18, through 6 a.m. Monday, July 21 — as part of a major Port of Los Angeles roadway project to perform utility work necessary to improve the northbound C Street off-ramp and nearby surface streets in Wilmington. The Port of Los Angeles event “World Cup on the LA Waterfront” is scheduled Sunday, July 13, from 10 a.m. to 4 p.m., at Wilmington Waterfront Park, in the park’s plaza area near C Street and Neptune Avenue in Wilmington. 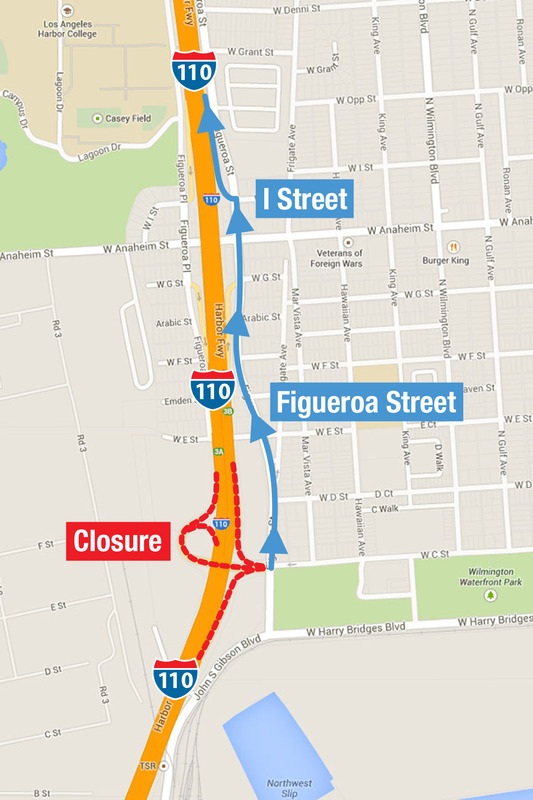 Road closures will no longer be in place during the event, and parking along C Street should be unaffected. 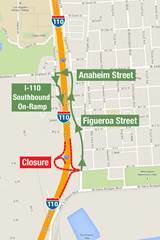 The Interstate 110/C Street Interchange project will combine two closely spaced intersections into one, and construct a new off-ramp from Northbound I-110 (Harbor Freeway) onto Harry Bridges Boulevard. 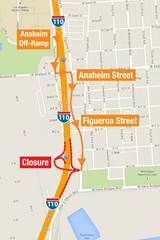 Construction is funded by the Port of Los Angeles, the Surface Transportation Program – Local (STPL) fund, the State of California Trade Corridor Improvement Fund (TCIF), and Los Angeles Metropolitan Transportation Authority (LACMTA) Prop C Funds.